Young man who set himself ablaze in Lagos over hardship dies? Nigerian political leaders are aware that MILLIONS of Nigerian youths are jobless due to poor economy and inadequate job opportunities in the country. So what's the hope of all the jobless people? Why can't we have a Proper Social Welfare System in this country to stop young men from going into robbery/Yahoo and ladies from ashawo/runs because they need money to feed and pay their bills? A man has taken his own life after setting himself ablaze on a road leading to Omole Estate, near Akiode Bus Stop, Lagos. He died while he was receiving treatment at a hospital. A passerby, who was standing a few metres away from the scene, rushed to put out the fire. 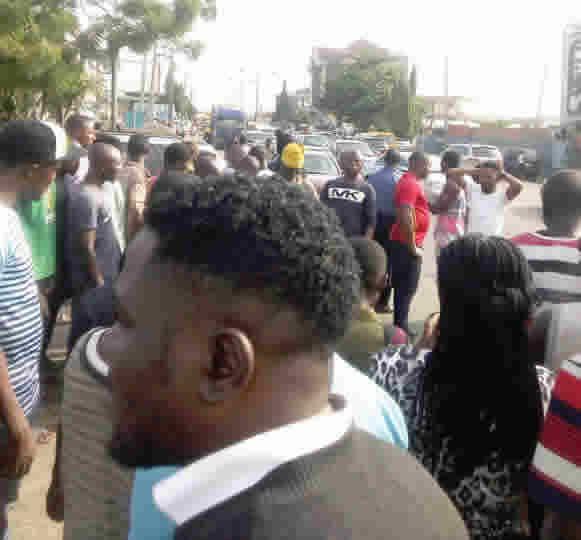 “While a man used a piece of torn carton to fan the man, some passersby were busy taking his photograph,” an eyewitness, Dolapo Gabriel, told The Punch. “I saw him pouring the fuel on himself but I thought it was water. Within seconds, he brought out a pack of matches from his pocket and set himself ablaze. Fortunately, a food seller close to the gate had some water. A man quickly took the water to put out the fire. Some people and I joined him. It was strange to me." A senior emergency official told Punch on Friday that Ahmed gave up the ghost while he was receiving treatment. The Lagos State Police Public Relations Officer, CSP Chike Oti, confirmed the incident, but said he had yet to be briefed on the man’s death.